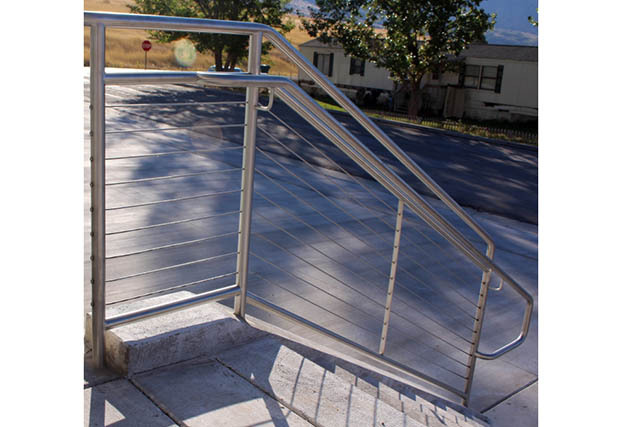 The Cable Connection is the manufacturer of Ultra-tec® cable railing infill which is designed to provide a safe, low maintenance, and aesthetically pleasing feature to your residential or commercial project. We provide experienced assistance to architects, fabricators, contractors, and DIYers that will ensure the success of your project. 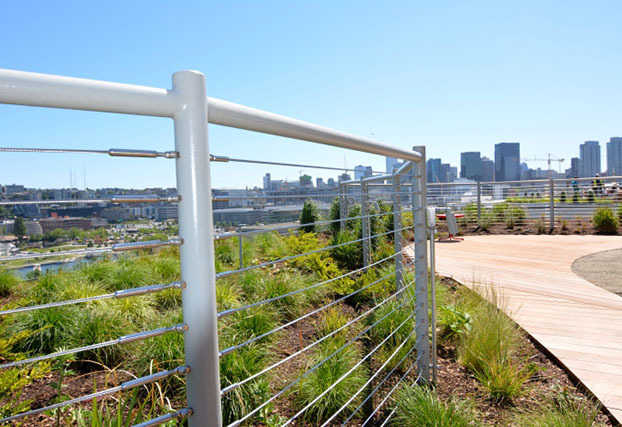 Ultra-tec® cable railing is easy to install and can be used for both indoor and outdoor, residential and commercial applications using wood, metal, or sleeved end posts. 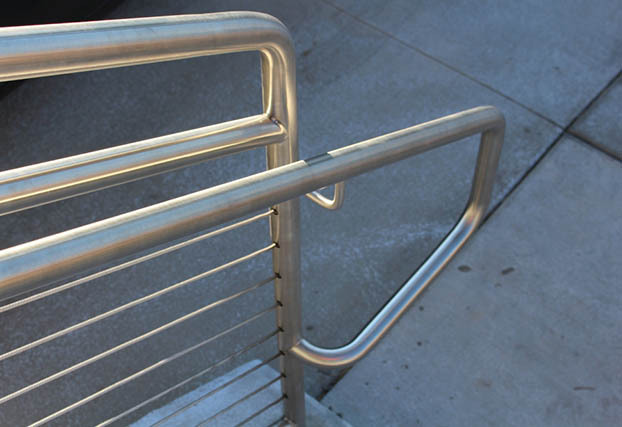 Purchase Ultra-tec® cable railing through our network of distributors. Please contact us toll free at 800.851.2961. Cable railing hardware that hides inside the post. Photo courtesy of Precision Welding. 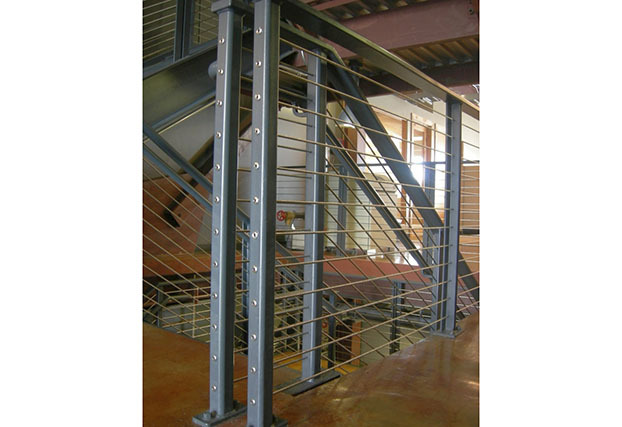 Commercial cable railing project featuring Ultra-tec® cable railing in metal posts. 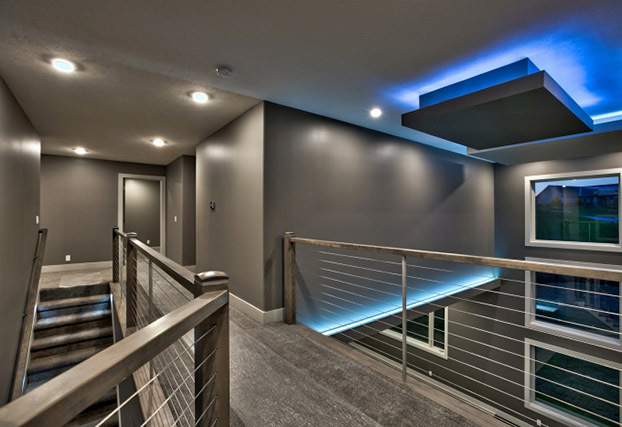 Residential cable railing project featuring Ultra-tec® cable railing. 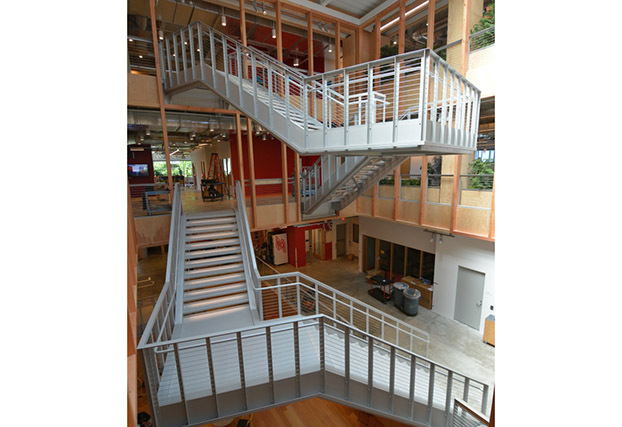 Photo courtesy of Ducworks, Inc.
Commercial cable railing featuring Ultra-tec® on a stairway with metal posts. Our Invisiware® fitting hides inside the post and is easily tensioned with a hex wrench. 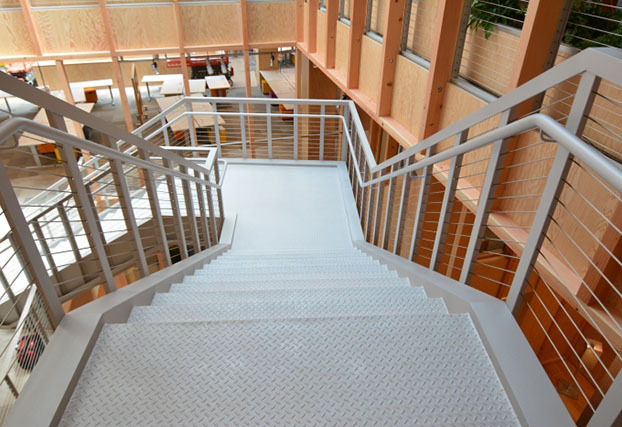 Photo courtesy of Ducworks, Inc.
Commercial cable railing featuring Ultra-tec® on a stairway with metal posts. Photo courtesy of Alumina Railing Products, Inc.
Commercial cable railing project featuring Ultra-tec®. Ultra-tec® was used throughout this new headquarters. Photo courtesy of McClean Iron Works. 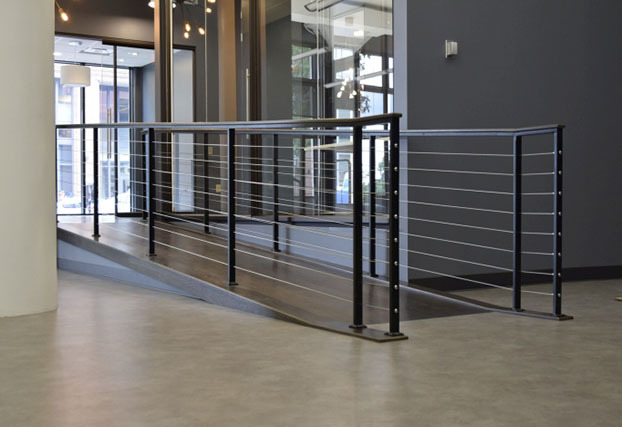 Commercial cable railing project featuring Ultra-tec®. 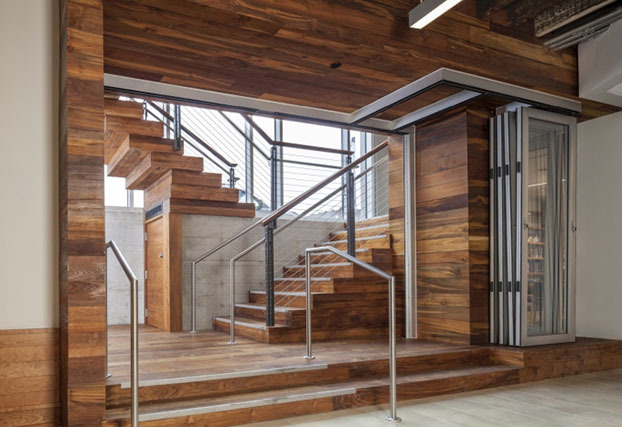 Ultra-tec® was used throughout this new headquarters. This image is of exterior railing used around the building. Photo courtesy of McClean Iron Works. 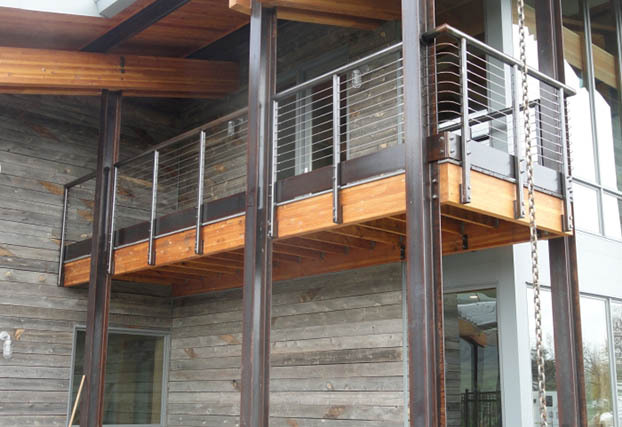 This is a residential project featuring Ultra-tec® cable railing in wood posts throughout the home. New line of Swageless fitting available in 1/8” and 3/16”.